Given the horrific amount of tragedies, violence, and hate polluting our world in present day, we have been thinking a lot about how we can possibly combat this as individuals in our own communities. "Darkness cannot drive out darkness: only light can do that. Hate cannot drive out hate: only love can do that". Sometimes, it's easy to get caught up in all the darkness around us, only to slowly, tragically, experience the fading light that comes from within ourselves. In face of the very real, very scary existence of travesty, terror, and pain - we remind you of the power of that glimmering light inside of you. Don't let it fade. Spread it! ...because "a candle loses nothing by lighting another candle" - James Keller. Rachel Cord, Registered Marriage and Family Therapist Intern #89397. Pacific MFT Network, © 2016. It is mid-December and we are in the middle of the holidays, also known as the "most wonderful time of the year". A time when we are supposed to be full of joy, surrounded by love, and at peace. But the disheartening truth is that our world is suffering from a lack of such things. The irony is that right now I should be running a therapy group with 7 middle-schoolers, leading them in an activity intended to encourage reflection around "intangible gift-giving" (such as kindness, hope, gratitude, and trust). Instead, these children are not able to be at school due to threats of violence targeting the LAUSD, resulting in 900 school closures across Los Angeles today. Yes, we have a violence problem, a terrorism problem, a gun problem, but at the root of it all we have a humanity problem. In these moments I wonder: how do we stay in the holiday spirit (or any kind of positive spirit) when there is such pain, fear, and tragedy happening around and within us? 1. Get outside. As tempting and cozy as it may be to stay indoors during this "harsh" California winter, getting outside can be the perfect redirection from negative feelings. Whether you take a five minute work break for some fresh air, find a beach to sit on, or go for an hour long walk, getting a taste of nature is a great "pick me up". 2. Snuggle a furry friend. Spend some extra time with your pet. Experiencing unconditional love and affection from a dog (or any animal you share a bond with) is actually an evidence-based way to feel a multitude of renewed uplifting emotions. 3. Tell someone you love them, and tell them why. In my opinion, the first step to feeling joy and combating the negativity in the world, is to open our hearts to others, spread the love, and remind people why they are cherished. 4. Make a list of all the things you are grateful for. Glad you have hot water to take a warm shower with later? Thankful to have someone who loves you despite how weird you really are behind closed doors? Blessed with money to pay for other things you enjoy and/or need? ... Perspective is the key to happiness. 5. Give back to your community or a charity. Because giving feels good. And the world needs our time and money invested in things that actually matter. Every little bit counts. 6. Exercise. What's that? Physical activity is good for the body AND the mind? Yes! exercise = endorphins = happy. 7. Make use of that mistletoe. Speaking of endorphins...if you're looking to self-medicate, kissing is one dopamine-producing drug I'm actually willing to support. 8. Remind yourself that it's okay to be happy, and that you deserve to be. Make a conscious decision to allow yourself to experience joy, however that may be for you. 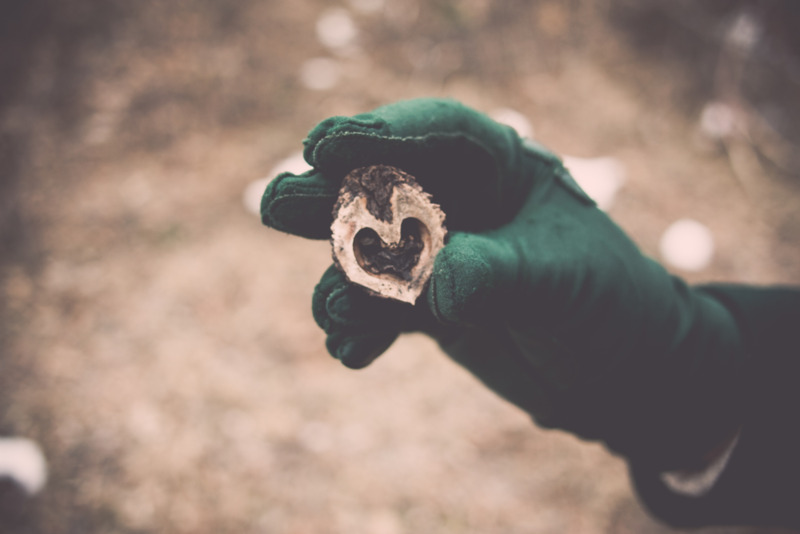 Mindfully living with intent, purpose, and awareness of the positive things, however small, is part of breaking down the walls that can prevent your heart from feeling happy. There are many ways to experience joy, but sometimes it can seem impossible to find joy in things that normally bring us pleasure. Personal therapy is a good way to rediscover that ability in yourself. If you are interested in considering therapy, I encourage you to contact me to discuss options for therapeutic services.